Anna Nicole Smith found ALIVE!!! Okay, it's not true. But now that I got your attention, I have an announcement to make. I have gone off the derech. How so? Well, Ha-Mikdash is a blog that was intended to be a "meeting place... to discuss the history, law and current state of Jerusalem and the Temple Mount." A lack of time and other factors have pushed me away from this goal and I have taken the easy road to become just another Pro-Israel conservative blog. What set Ha-Mikdash apart from all other blogs is that it focused just on Hilchos Kehuna, the Temple Mount desecration and the general sad state of Jerusalem today. I have made a (bli neder) pledge to refocus and get back on the right path. The path for which this blog was intended. Most if not all posts will be content filled and not just links and videos. From now on when I find an interesting article I will direct you to it with one or two line maximum. I am also going to try and revamp the template I am using. Surely I have moved past the generic "light house" theme. I no programmer so I will have to experiment and do it slowly. If anyone out there has expertise with building blog templates I would love to hear from you. For those of my friends who are in the LA area, you know that I tried to start a Kohain learning group. Politics and a lack of enthusiasm pretty much put an end to that, but I am not giving up. I will press ahead to get this going and will attempt to connect Kohanim via video conferencing and see if we can make it a weekly event. I also want to remind you that I maintain a Ha-Mikdash satellite site on MySpace. I am not very versed in RSS feeds and other blog goodies. I am self taught, so I am trying to figure it out. I will also like to have a blog radio show once a month. So much is happening with Jerusalem and the Temple Mount today. Israeli apathy, frum heads in the sand, Muslim revisionism and leftist meddling. It is time to stand up and do some ground roots activism to protect our Holiest site. Lastly, I would like to share a thought. The halachos in the Mishna Berurah are clearly spelled out by the Mechaber, the Rema and the Chafetz Chaim. 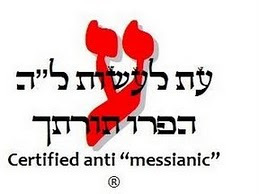 It is clear and we have a mesora as to how to act like Jews and live our lives according to G-d's will. Many here, I'm sure, have read Guard Your Tongue and other halachos of Lashon HaRa. Truly the Chafetz Chaim was a great Torah Scholar, yet there is one of his writings that is disregarded by most if not all Jews. The Holy Chafetz Chaim writes: "…Presently it is difficult to find Kohanim who know the laws and practices of the Temple Service fully. How disheartening and embarrassing. It sadly indicates that our prayers for the Temple and the Service are merely lip service, not real or heartfelt. For if we really desired it to come, we would prepare and make ready for it. Therefore my brothers, it is incumbent upon us to…further the knowledge of the Temple and its Service. Particularly the Kohanim and the Levites, who are most directly involved in this Torah Mitzvah, for they will be the first to be asked, “why didn’t you prepare for the Temple Service?" This is not some "Mashiach-nik" or an "end of days" fanatic. This is the Chafetz Chaim! Is Mashiach's coming not imminent? Who among our brothers will stand up and pledge to dedicate themselves to learning the D'ORAYSA Halachos of Kehuna? Frum Jews learn Hilchos Shabbos, Kashrus, Taharas HaMishpacha. Are the G-d given Halachos set aside for us Kohanim any less important? Chas V'Shalom! We enjoy the first aliya in shul. We are first to lead bentching. We duchan and are podeh the first born. We won't set foot in a cemetery, all important things. But why don't we know the Halachos of Kodshim, Teruma and Tuma and Tehara? "Why didn't you prepare for the Temple Service?" I remember growing up in NJ. My best friend, a non-Jew was the direct descendant of the French Royal Family. He had a title and special rights, though he was an American had not ever even been to France. I remember, when I heard about this I ran home crying, envious of my friend. I asked my father "Do we have any royalty in our family?" He apologized and said "no, we're just regular people." Then he said: "You know, we are Kohanim..."
As my parents were not religious, father could not really explain what that meant. I remember feeling like it was a consolation prize. How sad! My friend had title and privileges bestowed by man and my family had been set aside by the Almighty to serve Him! All Jews are Royalty. We were all set aside to serve G-d and do His will. The Kohanim were separated from the Klal to perform special Mitzvos for Hashem. We need toask ourselves, do we perhaps take that a little too lightly? There is no Temple today. But there is Kehuna. Our responsibility to learn and teach has not been abrogated. Even more so, we know that Hashem will rebuild His House as He has promised. Even the nut jobs in the Neturei Karta believe this. There is still time, and a vast library available to us. Will we be ready? Hot off the grill. Mmmmmmm links. I know I'm being lazy, but a lot is going on in my life right now. I hope to put something of substance up soon enough. Yibaneh - It Shall be Built! Wow. I can't even begin to pick this apart. Thanks to Dani A. for tipping me off. "Jews venerate it as the site of their biblical temples (sic), and one of its outer walls - known as the Western Wall - is the holiest site in Judaism." When will they wake up and accept the fact that the Temple Mount is our holiest shrine? Let them know the facts! Please daven for my baby girl Meira Yocheved Bas Rachel Leah who is in the hospital with pneumonia.